The pregnancy discrimination in NYC has been an ongoing problem. Many employees have been fired or treated differently because of their pregnancy. The NYC Commission on Human Rights protects employees from discrimination by enforcing the NYC Human Rights Law (NYCHRL). Furthermore, the Commission can charge companies with discrimination if they do not follow the Law. This article will explore NYCHRl and pregnancy discrimination in NYC. The Law forbids pregnancy-based discrimination in employment, public accommodations and housing. It also requires companies to accommodate the needs of an employee for her pregnancy and childbirth that will allow her to do her job. More importantly, the employee must make her pregnancy known to her employer in order to get accommodation. Today, the Law considers pregnancy discrimination a form of discrimination based on gender. Before 2014, however, pregnant women who needed accommodations at work had to prove that their pregnancy was a disability. Women with standard pregnancies were denied accommodations as a result. Employers also forced them to work under dangerous conditions. The City created the Pregnant Workers Fairness Act in 2013 in order to protect women with routine pregnancies. 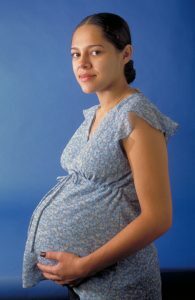 The Pregnant Workers Fairness Act requires all employers to accommodate the needs of pregnant employees for their pregnancy, childbirth and any other related medical conditions. It also requires that these needs be met without qualifying the employee as disabled. The history of the Pregnant Workers Fairness Act reveals the growing awareness about pregnancy discrimination in NYC. The Act also requires employers to liberally grant pregnancy accommodations because pregnancy is time-sensitive and of relatively short duration. Finally, protecting a woman’s right to stable employment while raising a family is increasingly important to the overall health of families. Many women are the primary breadwinners and are therefore working late into their pregnancies.